Pollock is a delicious white fish that is often presented as a more sustainable alternative to cod and haddock. 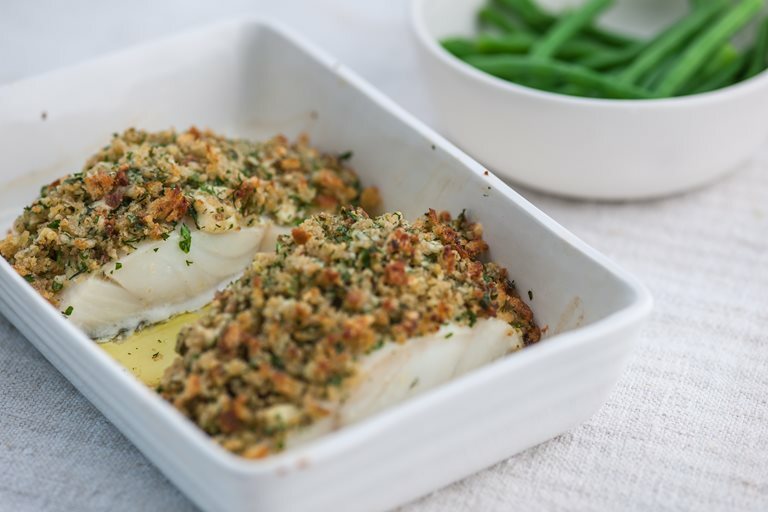 In this baked pollock recipe by Nathan Outlaw, fillets are encrusted in a mix of cheddar, herbs and breadcrumbs for a great savoury taste and texture. Serve this fish dish with a side of green beans, a fresh salad or some sautéed potatoes.